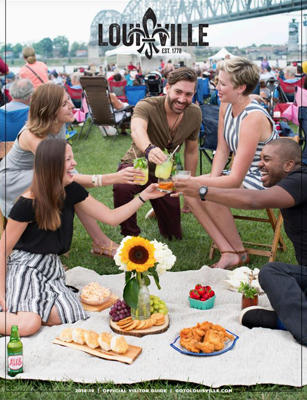 Louisville’s newest incentive program will give you a lot more to love in Louisville, especially if you haven’t brought a tour group here for an overnight stay in the last two years or longer. Haven’t been to Louisville in two or more years? 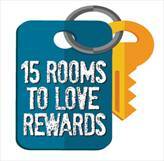 Book 15 or more rooms in Louisville and Louisville Tourism will award you a $500 shopping spree at our Louisville Visitor Center (that can be divided and used by group members for souvenir shopping), or $250 cash for you to enjoy. 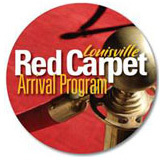 The cash award will be received when the tour group is present in Louisville once the rooming list is successfully provided to Louisville Tourism. This incentive gives you a sampling of what both Kentucky and Indiana offer as a tourist destination. Book one destination and experience two! Book at least 15 rooms or more in 2018 in either Louisville or Southern Indiana at a participating hotel and receive a free two-hour step-on guided tour, visiting some of the most treasured and unique historic experiences on both sides of the Ohio River. A memorable tour starts with a welcome they'll never forget. Call it southern hospitality with a splash of Hollywood. 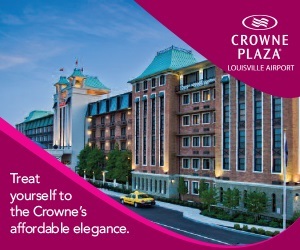 Simply contact our Tourism Department when you book overnights in Louisville and mention the Red Carpet Arrival Program — we'll do the rest. Your customers will receive a warm, personalized welcome at their hotel, red carpet and all. Deck your group out in fine Louisville swag. Tees make for a great student souvenir of the trip and a great way to unify and ID your group. All your group has to do is stay at least one night in a Louisville accommodation of your choice and we will provide a personalized tshirt for all of your students. You know how welcoming Louisville can be…truly a warm and friendly place that loves to introduce your group to our cool city. 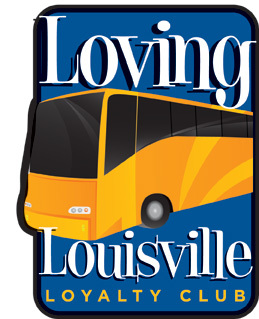 And we know when tour operators like yourself come to Louisville…they almost always want to come back. You love us..and we love you. There’s good reason to fall in love with Louisville. Now we want to show you the love. It’s so simple. Book Louisville, get rewarded. That’s pretty much all you need to know. Passing through Louisville? Louisville Tourism has developed a kit that can be used to promote future bookings to Louisville. The kit is chock-full of trivia, facts and word search puzzles for your passengers to solve. In addition to friendly competition for Louisville-related prizes, your group will learn about all the possibilities the city has to offer.